Women have been key participants in Hudson River conservation efforts since the 19th century, but their role has been largely forgotten. 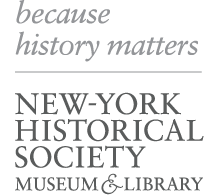 Join Jeanne Haffner, Associate Curator of Hudson Rising, in a conversation with two of these pioneers: Frances F. Dunwell, Hudson River Estuary coordinator at the New York State Department of Environmental Conservation and author of two award-winning books on Hudson history, The Hudson River Highlands (1991) and The Hudson: America’s River (2008); and conservation advocate, Cara Lee, the former environmental director for Scenic Hudson. Together they will recall the female foresters, community organizers, activists, and environmental scientists who shaped the river’s history and continue to impact its present and future. Credit line: Frances ("Franny") Reese (1917 - 2003), co-founder of Scenic Hudson, was a key female figure in the environmental conservation of the Hudson. Photograph courtesy of Scenic Hudson.